1: Who Is His Biggest Fan? 2: Who Is His Twins Biggest Fan? 3: What Is His Twins Name? 4: What Is His Name? 5: What Is His Favourite Colour? 6: What Is His Pals Colour? 7: Does He Have A GirlFriend? 8: Does His Twin Have A GirlFriend? 9: If He Does What Is His Twins Girlfriends Name? 10: What Is His Roblox Name? 11: What Is His Twins Roblox Username? 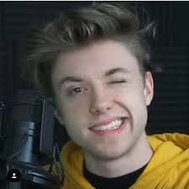 12: What Does He Do The Most On His YouTube Channel? 13: What Does He Do The Second Most?